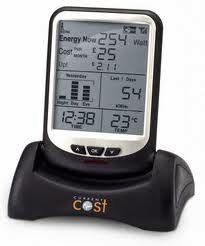 What we are offering here is a service, to get the data from your Current Cost ENVIR monitor, onto PVOutput. PVOutput is a great web portal for monitoring both electricity consumption and solar power generation. The site though is very complex and like any open source site, comes with a complex learning curve to getting the system setup correctly. So if you are lacking the time to learn, or the technical expertise to perform this task, we can help you. This is a worldwide service, to anyone with a Current Cost ENVI/R energy monitor. For more information please visit our SERVICES page, where you can find all of the information you need to get the ball rolling.